We proposes a new method for human posture recognition from top-view depth maps on small training datasets. There are two strategies developed to leverage the capability of convolution neural network (CNN) in mining the fundamental and generic features for recognition. First, the early layers of CNN should serve the function to extract feature without specific representation. By applying the concept of transfer learning, the first few layers from the pre-learned VGG model can be used directly without further fine-tuning. To alleviate the computational loading and to increase the accuracy of our partially transferred model, a cross-layer inheriting feature fusion (CLIFF) is proposed by using the information from the early layer in fully connected layer without further processing. The experimental result shows that combination of partial transferred model and CLIFF can provide better performance than VGG16 model with re-trained FC layer and other hand-crafted features like RBPs. We propose a novel indoor daily activity detection system which can automatically keep the log of users’ daily life. The hardware setting here adopts top-view depth cameras which makes our system less privacy sensitive. Moreover, in contrast with the traditional setting using side-view or surveillance-view RGB camera, our camera setting could avoid the problems of illuminance change. The goal of action detection is to identify where and when the actions of interest happened in a video stream. In this work, we regard the series of images of an action as a set of key-poses which are arranged in a certain temporal order. To model an action, we use the latent SVM framework to jointly learn the appearance of the key-poses and the temporal locations of the key-poses. We use recall-precision curve and average precision (AP) to validate the proposed daily activity detection system and the experimental results show the accuracy and robustness of our system. C. M. Huang and L. C. Fu, "Multi-target visual tracking based effective surveillance with cooperation of multiple active cameras," IEEE Transactions on System, Man and Cybernetics - Part B: Cybernetics, vol. 41, no. 1, pp. 234-247, 2010. Cheng-Ming Huang; David Liu; Li-Chen Fu, "Visual tracking in cluttered environments using the visual probabilistic data association filter," IEEE Transactions on Robotics, Vol. 22, pp. 1292-1297, 2006. S.-C. Lin, A.-S. Liu, T.-W. Hsu, L.-C. Fu, "Representative Body Points on Top-View Depth Sequences for Daily Activity Recognition," IEEE International Conference on System, Men, and Cybernetics (SMC) 2015. T. E. Tseng, A. S. Liu, P. H. Hsiao, C. M. Huang, and L. C. Fu, "Real-Time People Detection and Tracking for Indoor Surveillance Using Multiple Top-View Depth Cameras," in Intelligent Robots and Systems (IROS), 2014 ,IEEE/RSJ International Conference on, 2014. B. J. Chen, C. M. Huang, A. S. Liu, T. E. Tseng, and L. C. Fu, "Hands Tracking with Self-occlusion Handling in Cluttered Environment," in Control Conference (ASCC),9th Asian,2013. B. J. Chen, C. M. Huang, T. E. Tseng, and L. C. Fu, "Robust Head and Hands Tracking with Occlusion Handling for Human Machine Interaction," in Intelligent Robots and Systems (IROS), IEEE/RSJ International Conference on,2012. Y. R. Chen, C. M. Huang and L. C. Fu, "Visual tracking of human head and arms with a single camera," in Proc. IEEE Int. Conf. Intelligent Robots and Systems, pp. 3416-3421, 2010. Y. R. Chen, C. M. Huang and L. C. Fu, "Upper body tracking for human-machine interaction with a moving camera," in Proc. IEEE Int. Conf. Intelligent Robots and Systems, pp. 1917-1922, 2009. Y. T. Lin, C. M. Huang, Y. R. Chen, and L. C. Fu, "Real-time face tracking and pose estimation with partitioned sampling and relevance vector machine," in Proc. IEEE Int. Conf. Robotics and Automation, pp. 453-458, 2009. C. M. Huang, Y. R. Chen and L. C. Fu, "Real-time object detection and tracking on a moving camera platform," in Proc. ICCAS-SICE International Joint Conference, pp. 717-722, 2009. C. J. Song, C. M. Huang and L. C. Fu, "Human tracking by importance sampling particle filtering on omnidirectional camera platform," in Proc. 17th Int. Federation of Automatic Control, pp. 6496-6501, 2008. C. M. Huang, Y. T. Lin and L. C. Fu, "Effective visual surveillance with cooperation of multiple active cameras," in Proc. IEEE Int. Conf. Systems, Man, and Cybernetics, pp. 2718-2723, 2008. C. M. Huang, C. W. Lai and L. C. Fu, "Real-time multitarget visual tracking with an active camera," in Proc. IEEE Int. Conf. Intelligent Robots and Systems, pp. 2741-2746, 2007. 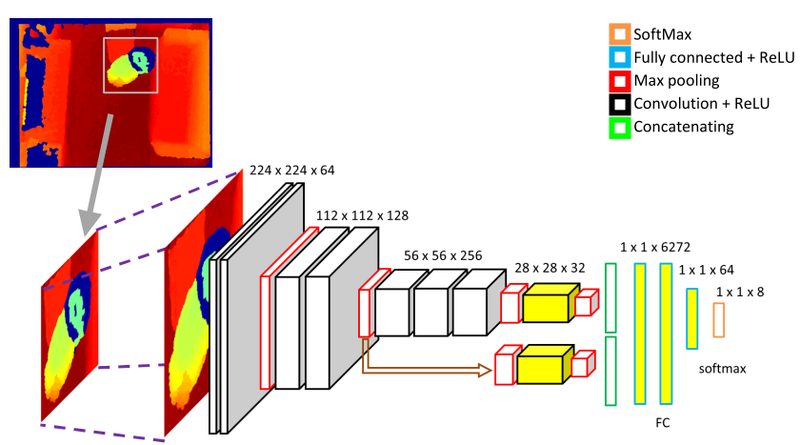 Chuan-Wen Lai; Cheng-Ming Huang; Li-Chen Fu, "Multitarget visual tracking by Markov chain Monte Carlo based particle filtering with occlusion handling," ICAR, accepted, 2007. Cheng-Ming Huang; Chuan-Wen Lai; Li-Chen Fu, "Real-time multitarget visual tracking with an active camera," IEEE International Conference on Intelligent Robots and Systems, accepted, 2007. Chuan-Wen Lai; Cheng-Ming Huang; Li-Chen Fu, "Multi-targets tracking using separated importance sampling particle filters with joint image likelihood," IEEE International Conference on Systems, Man, and Cybernetics, Vol. 6, pp. 5179-5184, 2006. Yu-Shan Cheng; Cheng-Ming Huang; Li-Chen Fu, "Multiple people visual tracking in a multi-camera system for cluttered environments," IEEE International Conference on Intelligent Robots and Systems, pp. 675-680, 2006. Cheng-Ming Huang; Chuan-Wen Lai; Li-Chen Fu, "Visual tracking with probabilistic data association filter based on the circular Hough transform," IEEE International Conference on Robotics and Automation, pp. 4094-4099, 2006. Cheng-Ming Huang; Jong-Hann Jean; Yu-Shan Cheng; Li-Chen Fu, "Visual tracking and servoing system design for circling a target of an air vehicle simulated in virtual reality," IEEE International Conference on Intelligent Robots and Systems, pp. 2393–2398, 2005. Cheng-Ming Huang; Su-Chiun Wang; Chin-Fu Chang; Chin-I Huang; Yu-Shan Cheng; Li-Chen Fu, "An air combat simulator in the virtual reality with the visual tracking system and force-feedback components," Control Applications, 2004. Proceedings of the 2004 IEEE International Conference on Volume 1, 2-4 Sept. 2004 Page(s):515 - 520 Vol.1. Pei-Ying Chen; Cheng-Ming Huang; Li-Chen Fu, "A robust visual servo system for tracking an arbitrary-shaped object by a new active contour method,"American Control Conference, 2004. Proceedings of the 2004 Volume: 2 30 June-2 July 2004 Page(s): 1516- 1521 vol.2. Cheng-Ming Huang; Su-Chiun Wang; Li-Chen Fu; Pei-Ying Chen; Yu-Shan Cheng, "A robust visual tracking of an arbitrary-shaped object by a new active contour method for a virtual reality application,"Networking, Sensing and Control, 2004 IEEE International Conference on Volume: 1 March 21-23, 2004 Page(s): 64- 69. Teng-Kai Kuo; Cheng-Ming Huang; Li-Chen Fu; Pei-Ying Chen, "A robust servo based headtracker with auto-zooming in cluttered environment,"American Control Conference, 2003. Proceedings of the 2003 Volume: 4 4-6 June 2003 Page(s): 3107- 3112 vol.4. Ten-Kai Kuo; Li-Chen Fu; Jong-Hann Jean; Pei-Ying Chen; Yu-Ming Chan, "Zoom-based head tracker in complex environment,"Control Applications, 2002. Proceedings of the 2002 International Conference on Volume: 2 2002 Page(s): 725- 730 vol.2. En-Wei Huang; Wei-Guan Yau; Li-Chen Fu, "An edge based visual tracking for target within complex environment,"American Control Conference, 2000. Proceedings of the 2000 Volume 3, 28-30 June 2000 Page(s):1993 - 1997 vol.3. 許唐瑋 Tang-Wei Hsu, "使用俯視深度攝影機之智慧家庭日常動作偵測系統Daily Activity Detection System Using Top-View Depth Camera for Smart Home Environment," Master Thesis, Institute of Electrical Engineering, National Taiwan University, R.O.C., 2016. 林叔君 Shu-Chun Lin, "利用分層俯視角深度特徵應用於日常活動辨識Daily Activity Recognition Using Features from Layered Top-View Depth Information, " Master Thesis, Institute of Electrical Engineering, National Taiwan University, R.O.C., 2015. 曾廷恩 Ting-En Tseng, "利用多台俯視之深度相機進行即時人型偵測與追蹤之大型室內監視系統 Real-time People Detection and Tracking for Large Indoor Surveillance Using Multiple Top-view Depth Cameras, " Master Thesis, Institute of Electrical Engineering, National Taiwan University, R.O.C., 2013. 陳柏錚 Bor-Jeng Chen, "在複雜背景下具自遮蔽處理之雙手追蹤系統Hands tracking with Self-occlusion Handling in Cluttered Environment, "Master Thesis, Institute of Electrical Engineering, National Taiwan University, R.O.C., 2012. 杜明翰 Ming-Han Tu, "運用於單相機之三維人體手臂追蹤系統 Three-dimensional Human Arms Online Tracking with a Single Camera, " Master Thesis, Institute of Electrical Engineering, National Taiwan University, R.O.C., 2011. 陳又生 Yu-Sheng Chen, "多相機影像監控系統之高效率多目標物一致性標籤 Efficient consistent labeling in visual surveillance system with multiple cameras," Master Thesis, Institute of Electrical Engineering, National Taiwan University, R.O.C., 2009. 陳羿如 Yi-Ru Chen, "人體上半身姿態追蹤系統應用於移動式平台之人機互動 Human robot interaction with motion platform, " Master Thesis, Institute of Electrical Engineering, National Taiwan University, R.O.C., 2008. 宋昭蓉 Chao-Jung Song, "循序權重取樣粒子濾波法實現全方位相機之多目標物影像追蹤 Human Tracking Using Sequential Importance Sampling Particle Filter by Omnidirectional Camera," Master Thesis, Institute of Electrical Engineering, National Taiwan University, R.O.C., 2007. 賴傳文　Chuan-Wen Lai, "具遮蔽處理之貝氏濾波法實現主動相機平台之多目標物影像追蹤 Multi-Target Visual Tracking by Bayesian Filtering with Occlusion Handling on an Active Camera Platform," Master Thesis, Institude of Electrical Engineering, National Taiwan University, R.O.C., 2006. Multiple People Visual Tracking in a Multi-Camera System for Cluttered Environment," Master Thesis, Institude of Electrical Engineering, National Taiwan University, R.O.C., 2005. 劉大元　Da-Yuan Liu, "雙軸相機平台在複雜環境下之即時影像追蹤 Real-Time Visual Tracking in cluttered Environment with a Pan-Tilt Camera,"Master Thesis, Instituteof Electrical Engineering, National Taiwan University, R.O.C., 2004. 陳佩穎　Pei-Ying Chen, "以新型動態輪廓技術完成可追蹤任意形狀物體之強健影像伺服系統 A Robust Visual Servo System for Tracking an Arbitrary-Shaped Object by a New Active Contour Method," Master Thesis, Institute of Electrical Engineering, National Taiwan University, R.O.C., 2003. 郭騰凱　Teng-Kai Guo, "在複雜背景下以強健視覺伺服為基礎可自動調變倍率之頭部追蹤系統 A Robust Visual Servo Based Headtracker with Auto-Zooming in Cluttered Environment," Master Thesis, Institute of Electrical Engineering, National Taiwan University, R.O.C., 2002. 丘偉源　Wei-Yuan Qiu, "以真實飛行物體為目標之視覺伺服追蹤系統之設計與實務 Design and Implementation of Visual Servoing System for Realistic Air Target Tracking," Master Thesis, Institute of Electrical Engineering, National Taiwan University, R.O.C., 2000. 黃恩暐　En-Wei Huang, "以偵測目標物邊緣分佈為基礎之視覺追蹤系統 An Edge Based Visual Tracking for Target within Complex Environment,"Master Thesis, Institute of Electrical Engineering, National Taiwan University, R.O.C., 1999. ​陳治宇　Zhi-Yu Chen, "以智慧型單眼即時影像追蹤系統與飛機姿態辨識為基礎之目標物五維軌跡檢測 5D Target Trajectory Detection via Intelligent Monocular Visual System in Real-Time with Air-Target Orientation Recognition," Master Thesis, Institute of Electrical Engineering, National Taiwan University, R.O.C., 1998. C. M. Huang ( 黃正民 ), "以貝氏濾波器及可動式相機進行之影像追蹤暨其應用Visual Tracking and Its Applications by Bayesian Filtering with Active Cameras," Dissertation, Institude of Electrical Engineering, National Taiwan University, R.O.C., 2009.